← Felicia Chin headlines Olympus’ booth at IT Show 2012 ! TOKYO, March 2012—Canon Inc. and Canon Marketing Japan Inc. announced today the celebration this month of the 25th anniversary of the launch of Canon’s EOS system, which includes the EOS series of single-lens reflex (SLR) cameras and a diverse range of accessories for the system beginning with the company’s rich lineup of interchangeable EF lenses. Canon’s EOS system made its debut in March 1987 with the launch of the EOS 650 SLR camera and three interchangeable EF lenses, including the EF35-70mm f/3.5-4.5. This month, the system will commemorate its long, rich history with the celebration of its 25th anniversary. Standing for “Electro Optical System” while also carrying the name of the Greek goddess of the dawn, the EOS series saw first light in 1987 as the world’s first fully electronic mount system, representing a new generation of AF SLR cameras. During the film-camera era, EOS SLR cameras garnered high acclaim from a wide range of users for their innovative technologies and designs focused on Canon’s key concepts of high speed and ease of use. 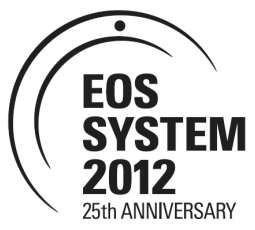 During this period, the company launched the top-of-the-line professional-model EOS-1 in 1989 and, with the introduction of the compact, lightweight EOS Kiss (EOS Rebel XS and EOS 500 in other regions) in 1993, succeeded in expanding its user base. Following the introduction of the EOS D30 in 2000, when the popularization of digital SLR cameras was in full swing, Canon developed such advanced technologies as its proprietary CMOS sensors and high-performance DIGIC digital image processors in an effort to offer products that fulfilled the company’s new key concepts of high speed, ease of use and high image quality. With the flagship EOS-1D X at the apex and the newly introduced EOS 5D Mark III, boasting excellent image quality and video functionality, Canon’s rich digital SLR camera lineup serves the needs of all levels of users, from professional photographers to entry-level photo enthusiasts. Additionally, Canon’s interchangeable EF lens series, introduced together with the EOS SLR camera system, has come to lead the industry. With Canon’s optical technologies at its core, EF lenses incorporate such innovative technologies as the Ultrasonic Motor (USM), Image Stabilization (IS), Subwavelength Structure Coating (SWC) anti-reflection technology, and multi-layered diffractive optical (DO) elements. The current EF-lens lineup comprises over 60 models, making possible a diverse range of imaging-expression possibilities. Furthermore, with the recent launch of the Cinema EOS System of professional digital cinematography products, Canon’s EOS system now supports motion picture production and other high-end video capture applications. Canon will continue to refine it diverse imaging technologies based on its core optical technologies, striving to produce exceptional and reliable cameras and lenses that cater to the varying needs of users while contributing to expanding the culture of photographic and video imaging. This entry was posted in Brand: Canon, Photography Articles & Videos, Uncategorized and tagged Canon, DSLR, EOS, eos d30, gadgets, Lenses, technology. Bookmark the permalink.